For five summers of my life, Memorial Day weekend marked the unofficial start of the golf season. 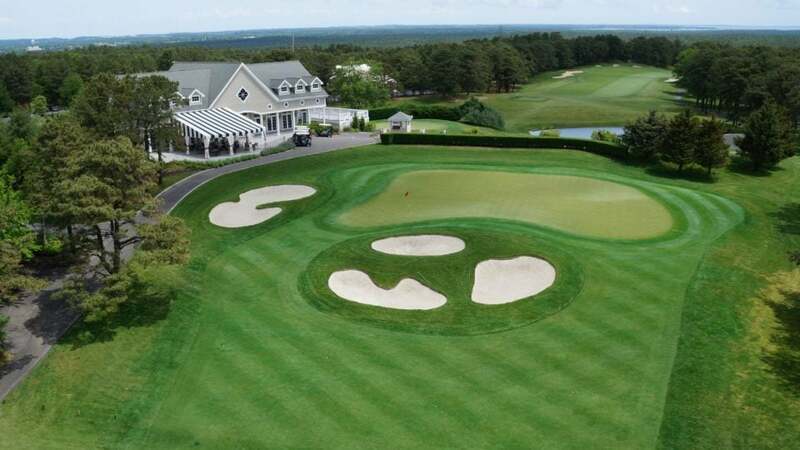 You see, I spent five summers working at Hampton Hills, a private country club located on the east end of Long Island, and that faithful weekend was when seasonal residents returned to their dream homes, most of which received only a few months of use. The majority of my tenure there was spent in a cozy starter's shack. A file cabinet, some clipboards, a phone, a pencil sharpener and shoddy Wi-Fi in a 25-square-foot space—this was my summer home. Once Memorial Day arrived, the phone calls poured in—mostly from New York City office assistants and Florida area codes, the latter where many of the members resided in the winter. "This is the office of ____ calling, please hold." "Timmy boy! Your favorite member is back in town. Did you miss me?" "Did they keep you locked up in that shed all winter?" It’s been three years since I clocked out for the final time, but sometimes I still wake up terrified I slept through my 5 a.m. alarm. And while I may have daily issues remembering the login password for my laptop, I could still pencil in the regular tee times in my sleep: Mr. Schneider, 7 a.m., Mr./Mrs. McNevin 7:30 a.m. (They would often call from the car to ensure the tee box was clear as they approached the club), Mr. Tumbarello and Mr. Knabbe, 10:30 a.m., Mr./Mrs. Crennan, 12:30 p.m.
More importantly, I could tell you who they didn't want to play with and what group they absolutely didn't want to be stuck behind. I learned quickly that these distinctions were among the most important aspects of the job. It wasn't Cheers, but I knew everyone’s name. There were a few hundred members with very little turnover. A handful of new faces would join each season, but for the most part you grew accustomed to seeing the same faces at the same times on the same days. If someone broke routine and showed up outside his or her usual window, well, that would be the equivalent of seeing Big Foot walking around. More often than not I was pounding away on my keyboard, working side gigs in hopes of catching a break into sports media. One member, Mr. Miller, insisted – nearly every time I saw him – that I was working on a great American novel. I would laugh…but that was mostly because he played golf in Crocs and shorts that would make John Stockton blush. But what I miss most about those sweaty summer days is being around the staff. There is a camaraderie that comes along with working in the hospitality and service industry that you don’t find anywhere else. The members treated us extremely well, and in the few occurrences where that wasn't the case, we knew all the tricks. From "accidentally" losing head covers to turning the sprinklers on unruly groups to "forgetting" a food order to purposely placing a slow group in front of someone, we had each other’s backs. Life lesson: Be nice to those who make your food and reserve your tee times. My goodbye was something out of the Good Will Hunting playbook. One day those same familiar faces showed up to my starter’s shack window, but I was no longer there. I did eventually get that break, and now I'm pounding away on my keyboard in Manhattan, thinking about my summer golf family once again as Memorial Day approaches. Maybe one day I'll get around to writing that great American novel.